Well, for now in the anticipation of Spring, I want to share with you Annabelle Cosmetics upcoming Spring 2017 product launch. 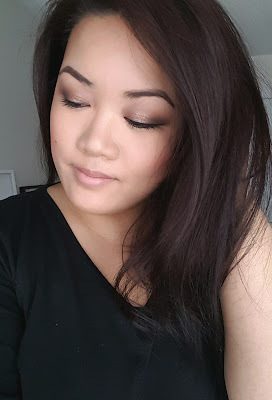 I love what they say - "A little bit of Eyeshadow, A lotta bit of confidence!" 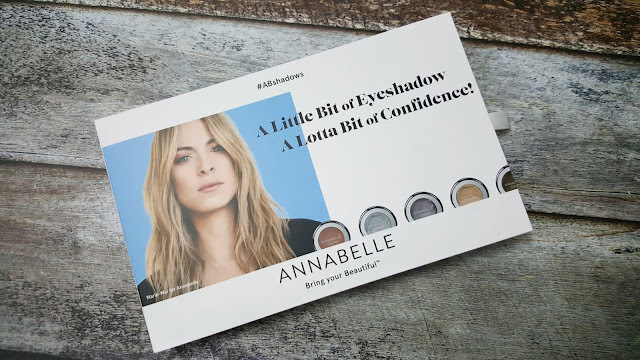 - I know one specific shadow in this set that totally embraces this saying - that would have to be the chrome eyeshadow! 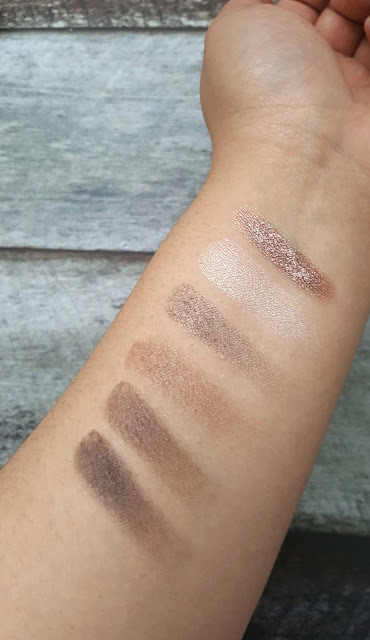 It comes in 5 different shades, which I need ALL of - it is buttery, pigmented and mousse like and seriously packs a punch and is truly chrome. It comes in Rose Gold, Silver, Gold, Geranium and Mercury and they are $8.95 each. In the pictures below, the LEFT is the Eye + Brow Palette ($12.95) and the RIGHT is the Skinny Palette ($9.95) - both swatched. 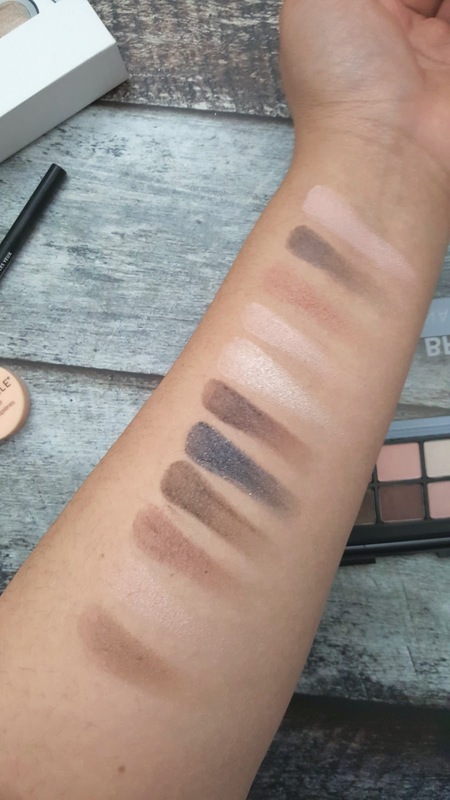 The Skinny Palette is available in 6 different palette shades and is sleek and compact, perfect for taking with you on the go. 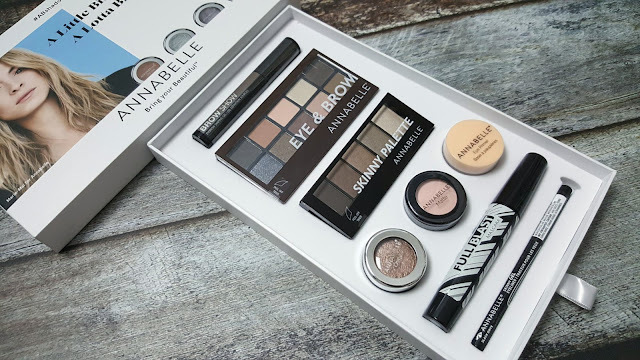 The Eye and Brow Palette would have to be my favorite of the two - it is so thin and sleek that since it includes both eyeshadows and brow products, taking this palette on the go is perfect! In the make-up look below, I used this specific palette on my eyes and brows and the Chrome shadow on my lid. Although it comes with a double-ended applicator, I find that I still enjoy using my own brushes. Before I applied the eyeshadow, I primed my lids with the Shadow Primer - $8.95, it comes in a universal color - a light beige pink shade that helps to neutralize the lid a bit - not completely, but just enough. It remains a bit tacky afterwards so that the shadow can adhere to it properly. I applied the Full Blast Mascara $6.95 to my lashes and it helped to thicken and separate the lashes. I didn't find that it helped with curling or lengthening, so if that's what you are into, I'd suggest that you look for something else. 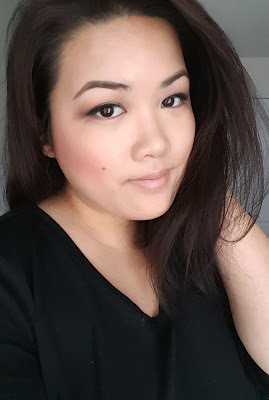 To set the brows, I used the Brow Show Shaping Gel $8.95, and although the large brush seems intimidating, large meaning fat brush, it actually works really well to just touch on the brows and not the area around it. The color, though looking light, helps to add a lighter tint to set it. 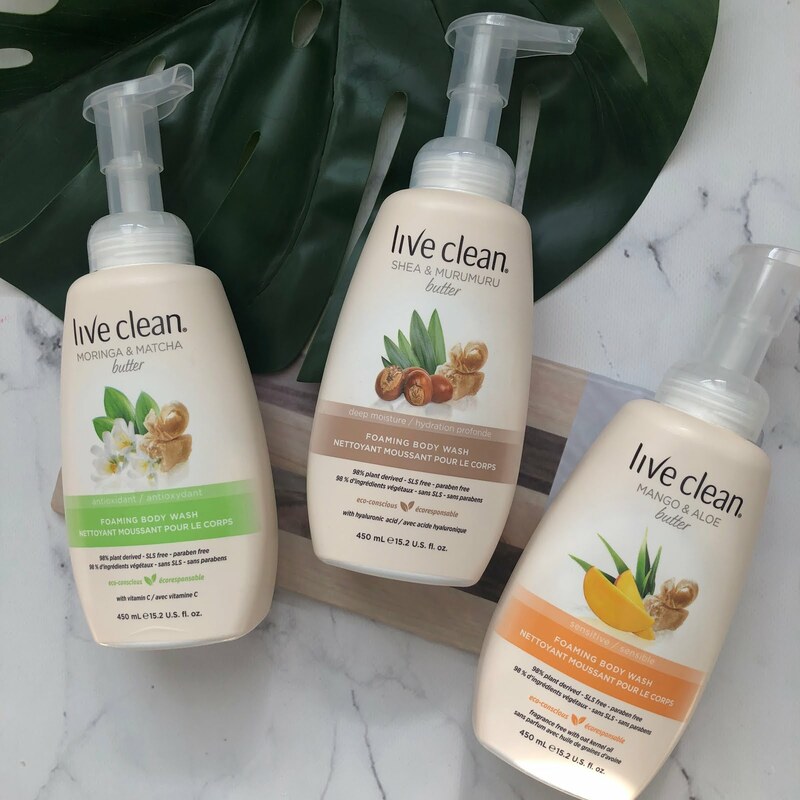 The gel doesn't make it crispy either which is amazing - I really love that I can find a product that works for me in the drugstore. I lined my eyes with the Skinny Gel Eyeliner $8.95 - it comes with a 1.9 mm microtip, which reminds me of the hourglass micro slim liners - it is quite fragile, so apply with a light hand, I suggest warming it first on the back of your hand to make the gel more emollient. It comes in four different shades - Black Onyx (what I have), Umber Brown, Taupissime and Navy Blue. I line the base of my upper lash line, then take a flat brush to pull on the ends to create a small wing. It has a bit of playing time before it sets, then it stays put all day. 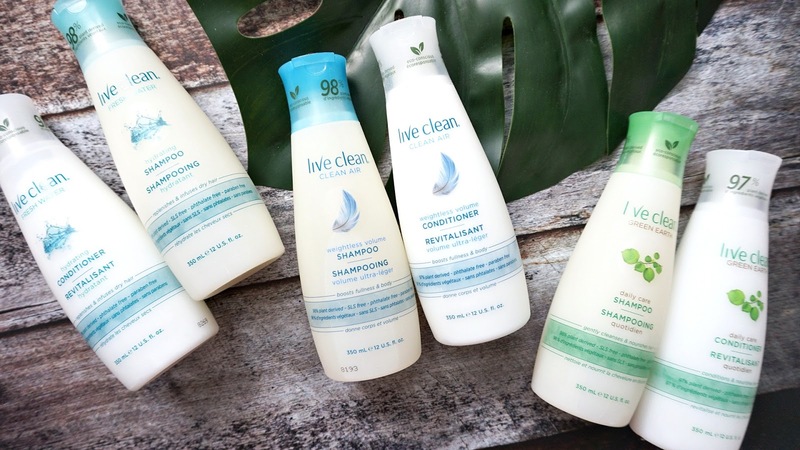 You have to make sure you have a good eye make-up remover though because it likes to stay put even if you think you've rinsed it thoroughly. What I mean is that it does wash off, but it smeared to my bottom lash line and I looked kind of like a panda. Haha! Out of all the products mentioned, I would say you MUST get the Chrome Shadow - and then I'd suggest the liner as well. It's pigmented and unique to the drugstore - the thin tip really allows for more defined work on your lash line.